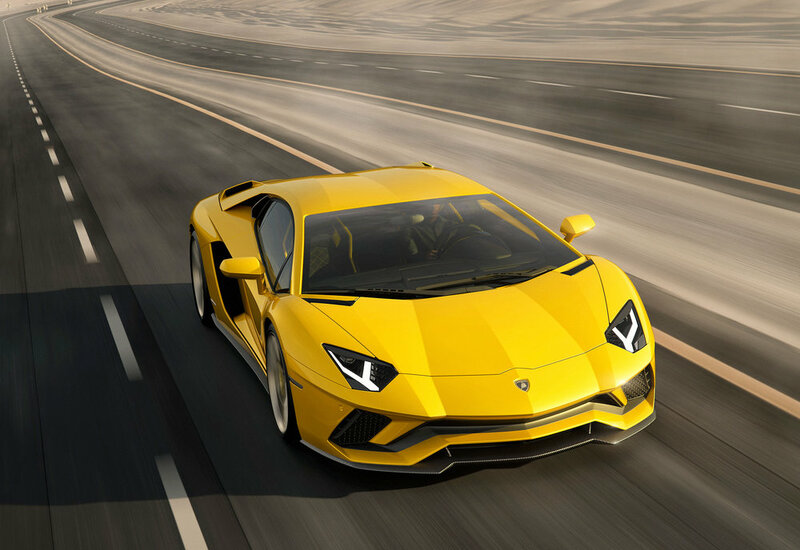 A new Aventador S from Lamborghini has been unveiled, with a fresh aerodynamic design, redeveloped suspension, increased power and new driving dynamics. The ‘S’ is the suffix of previous enhanced Lamborghini models, with the Italian carmaker saying it ‘defines a new benchmark for the V12 Lamborghini.’ The naturally aspirated 6.5-litre engine outputs an additional 40 hp over its predecessor, to a maximum 740 hp, with a 690 Nm of torque at 5,500 rpm. Additionally, the maximum engine revs have been increased from 8,350 to 8,500 rpm. Acceleration from 0-62mph is reached in 2.9 seconds, with a top speed of 217mph, aided by Lamborghini’s lightweight Independent Shifting Rod (ISR) 7-speed shifting transmission, which provides ‘robotised gear shifts’ in up to 50 milliseconds. The Aventador S adopts a new exhaust system which is 20% lighter than its predecessor and, following the testing of multiple configurations, has an 'enhanced Lamborghini sound' and resonance from the V12 aspirated engine. The three single pipe outlets are a visual reminder of the new exhaust system. 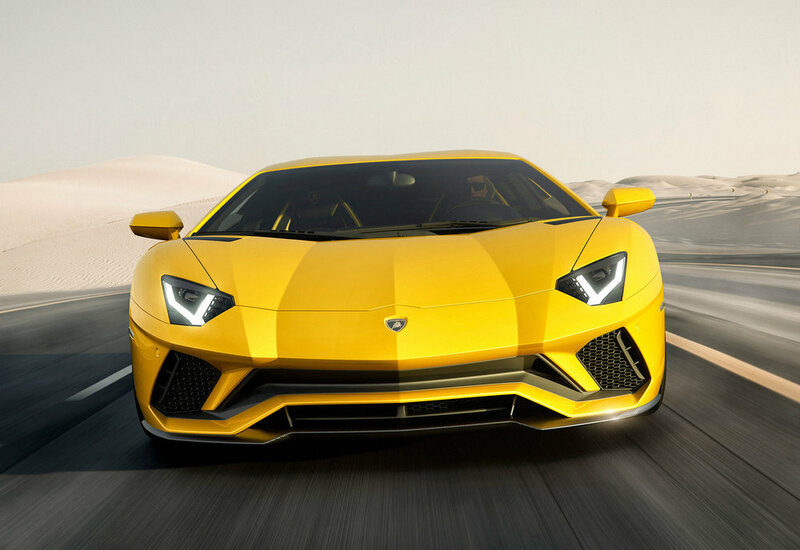 The design of the new Aventador S features a number of exterior developments, particularly at the front and rear, while its profile remains clearly an Aventador. Every modified component is redesigned for a purpose, achieving 'maximum aerodynamic efficiency', while the Lamborghini Centro Stile has also integrated certain elements of past icons, such as the lines of rear wheel arches reminiscent of the original Countach. Front downforce has been improved by more than 130% over the previous Aventador coupé. When the wing is in its optimum position the overall efficiency at high downforce is improved by over 50%, and in low drag by more than 400% compared to the previous model. A more aggressive nose and longer front splitter redirect airflow for better aerodynamic efficiency, improved engine cooling and increased cooling to the radiators. Two air ducts in the side of the front bumper reduce aerodynamic interference from the front tires and optimise flow to the rear radiator. The rear is dominated by a black diffuser, available on request in carbon fibre, characterised by a number of vertical fins that amplify the airflow effects, reduce drag through pressure recovery and generate downforce. The active rear wing is movable in three positions depending on speed and drive select mode, and optimises the car’s improved overall balance, working with vortex generators created in the front and rear of the chassis’ underside that maximise air flow as well as assist in brake cooling. Enhanced lateral control comes from new four-wheel steering, adopted for the first time on a series production Lamborghini. The system provides improved agility at low and medium speeds and more stability at high speed. 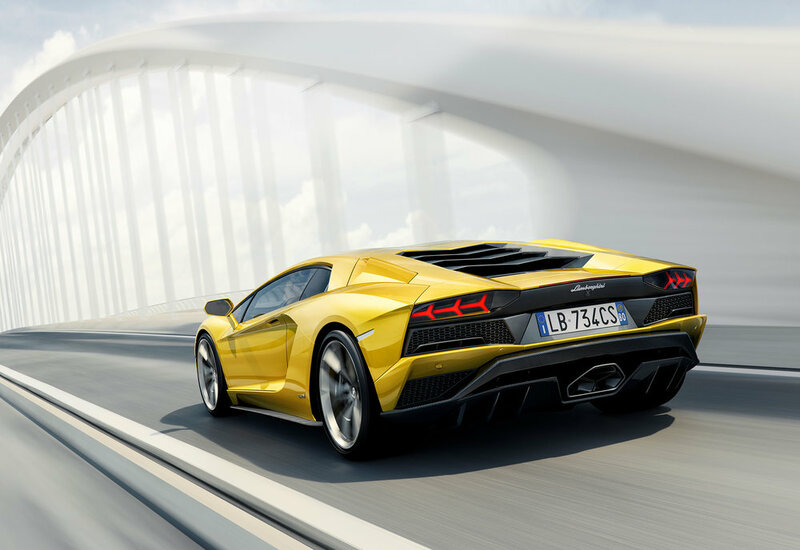 The Lamborghini Dinamica Veicolo Attiva (LDVA) control unit is the new brain of the car, which receives real time and precise information on body motion via input from all sensors of the car. It instantly defines the best set-up of all active systems in order to guarantee the best vehicle dynamics in every condition. There are four different driving modes: STRADA - for better comfort and stability on rough roads; SPORT - where 90% torque is sent to the rear wheels for ‘maximum sportiness and driving fun on curving roads’; CORSA - where torque is balanced to both axles, with a maximum 80/20 split to rear and front for more neutral behaviour and to maximise track-oriented performance. The final mode is the new EGO setting, providing several additional and individual set-up profiles, customisable by the driver for a preferred criteria on traction, steering and suspension within the STRADA, SPORT and CORSA settings. On the inside, the cockpit of brings new ‘functionality and refinement’ says Lamborghini. A new TFT digital dashboard can be customised according to the driver’s preferences, with different kombi screens for STRADA, SPORT and CORSA in conjunction with the EGO mode. Selected from the driving modes options on the control panel, the EGO button reveals further options on pop-up digital screens, allowing the driver to choose a preferred settings. AppleCarPlay comes as a standard, allowing the occupants to manage voice activated communications and entertainment from personal Apple devices. The Lamborghini telemetry system is also available as an option which records lap times and track performance as well as trip data. Prices for the Lamborghini Aventador S start at £225,955 excluding tax.